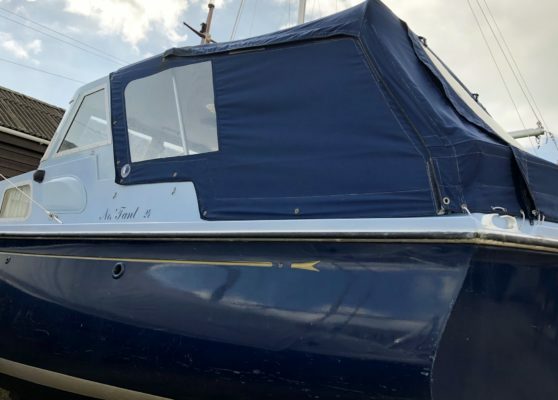 Browse our collection of used boats. 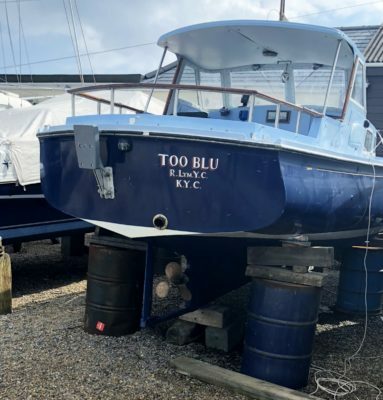 Name of Vessel RAMELING. Off. No. 701118. 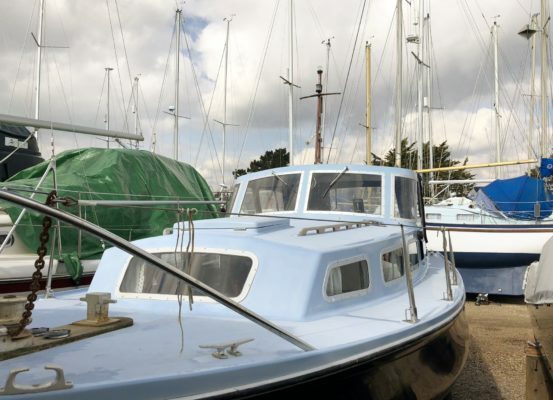 Type of Vessel BARBICAN 33 auxiliary Bermudian Sloop of conventional long keel hull form of glass reinforced plastic construction. 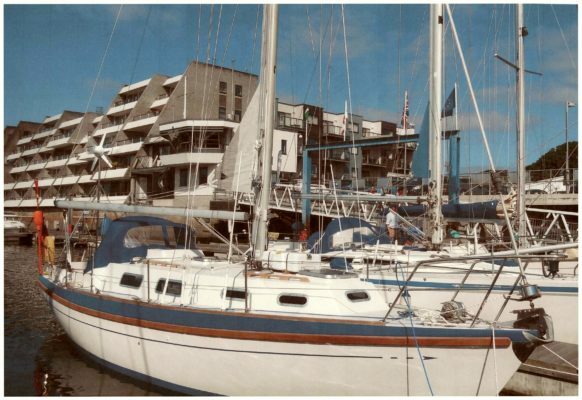 Built by Barbican Yachts Construction Ltd., of Plymouth in 1982 to a Maurice Griffiths design. 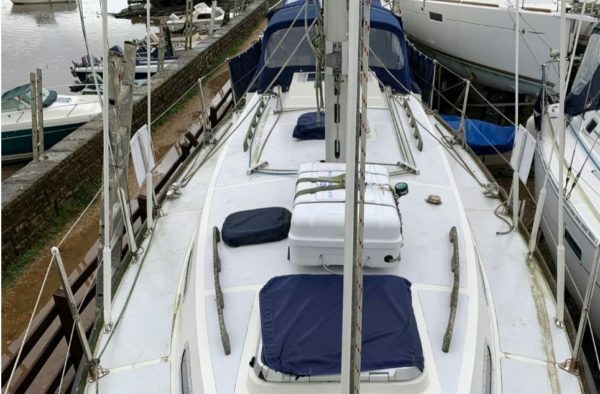 Under her working rig of genoa and mainsail she would carry about 550 sq. ft. of canvas. 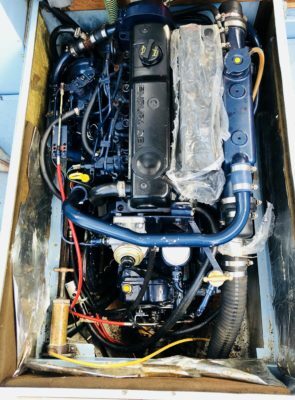 The Beta 50 auxiliary engine will deliver up to 50 H.P. 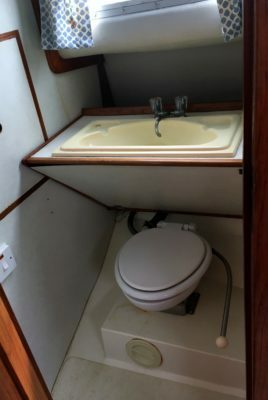 Internally from forward there is a chain locker, two berth cabin, WC and wash compartment to starboard with locker space to port. 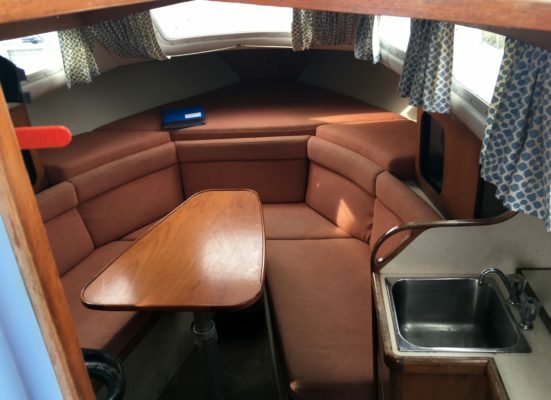 Seating berths are to either side of the main saloon, The saloon table can be lowered to make a double berth on the starboard side. 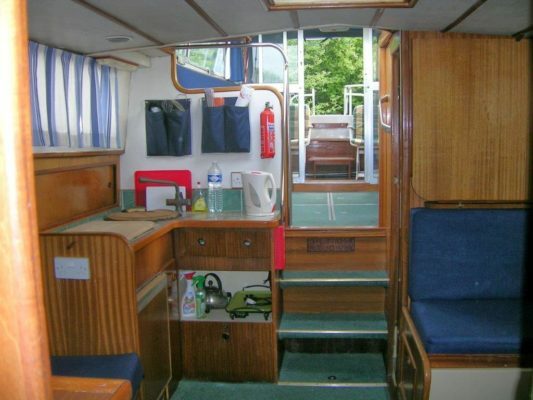 The chart area is to starboard and galley area to port. 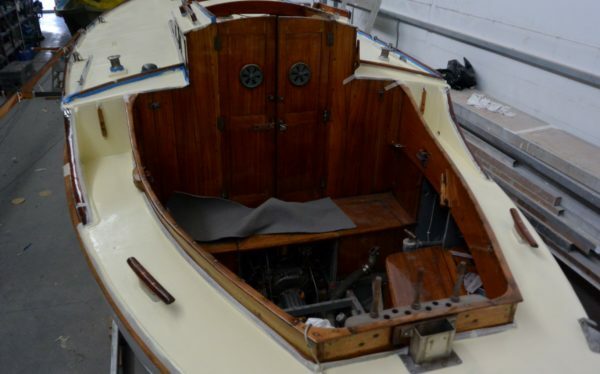 The engine is under the step-down arrangement. 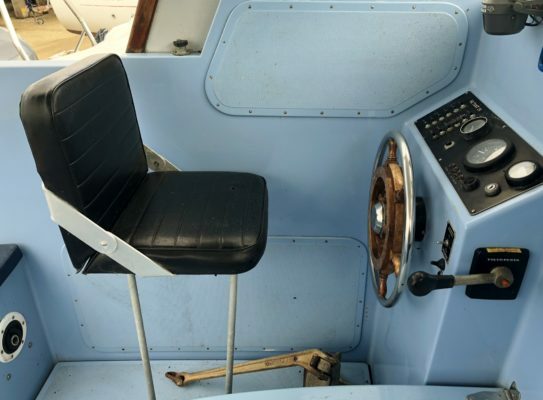 In the cockpit there are large lockers on either side of the cockpit and within the stern of the vessel. 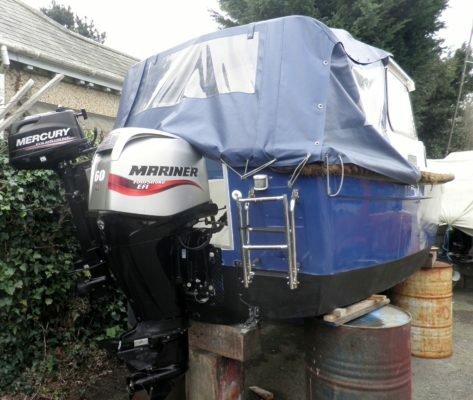 Comes with a Mariner 60hp (2012) 4 stroke outboard engine, last serviced March 2018. New canopy fitted August 2016. 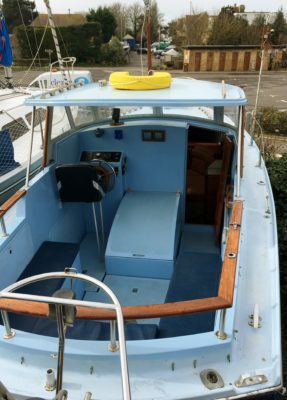 Designed by H T Rossiter, built by Chas A Purbrook in 1956. Cast iron keel with steel centre place. 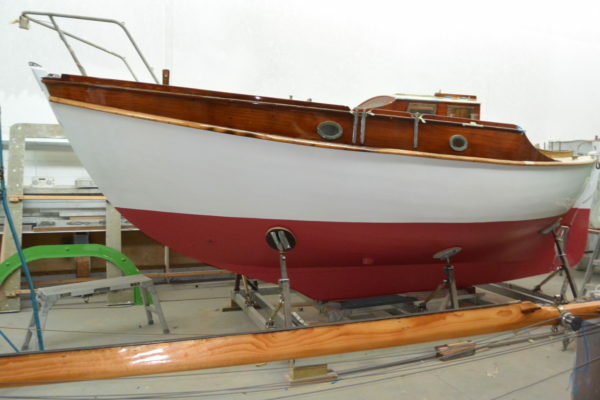 Oak frames, with African mahogany planking, coachroof and interior, and marine plywood decks. 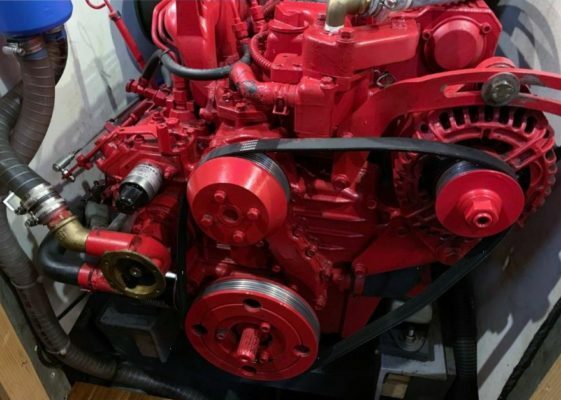 Yanmar 10hp inboard diesel engine. 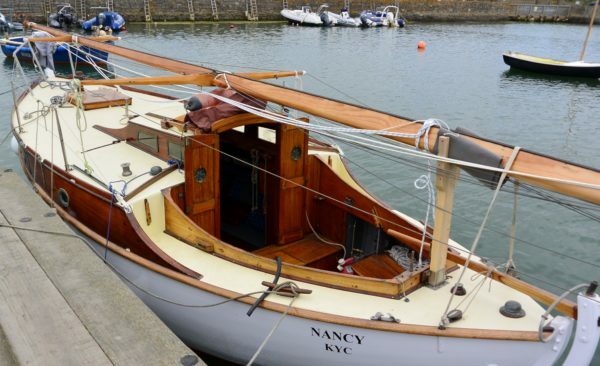 Mast is timber made by Rossiters with galvanised wire standing rigging. 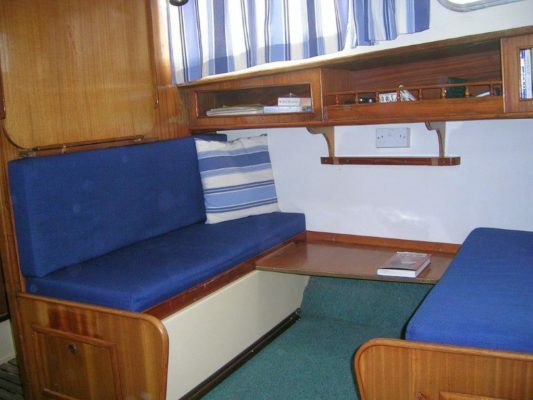 Nancy sleeps 3 in one cabin on single berths. 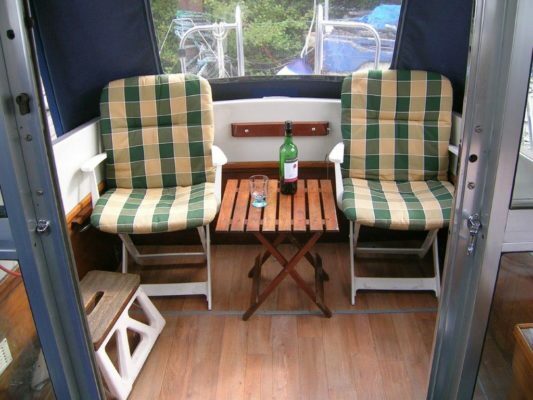 The saloon has a folding table. 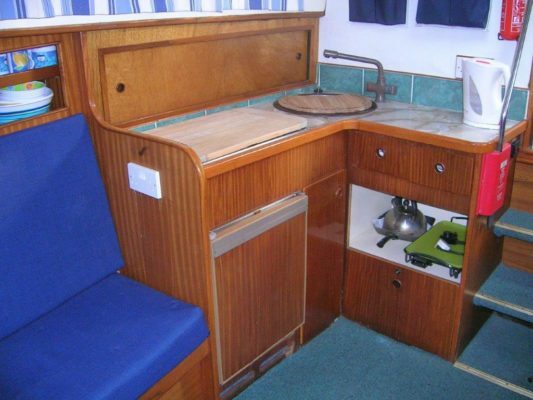 The galley contains a Neptune gas cooker. 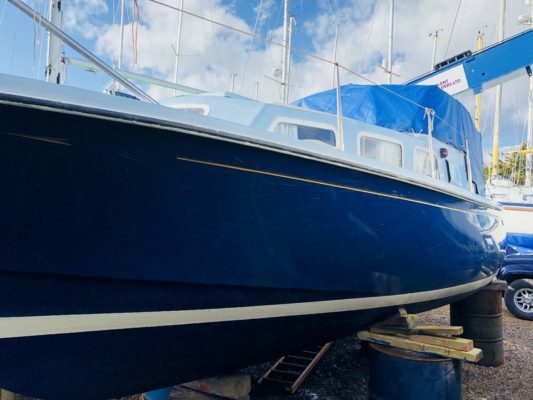 The yacht underwent a major refit in 2017 to meet the survey requirements at a cost of £20,000. 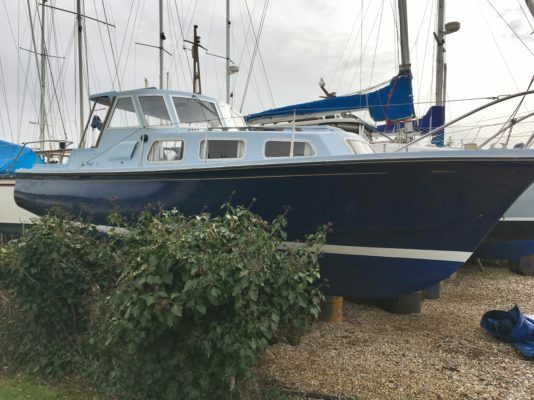 Built by NaTant Marine, in Christchurch, Dorset in 1987 to the design of F.R. Parker. 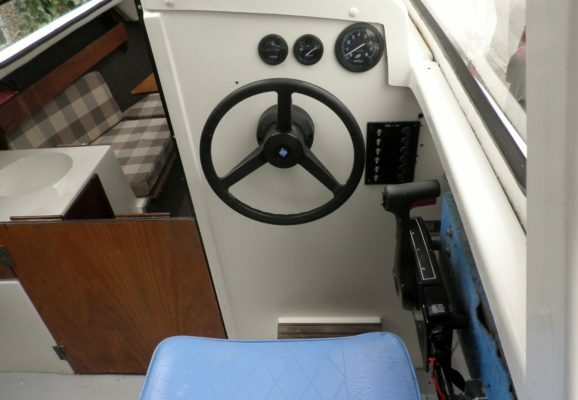 Wheel steering with morse controls. Treated for osmosis in 2004. One 22 gallon fresh water tank. Eastham Maxol gas two burner hob with grill and oven. 20lb plough anchor and chain, kedge and fishermans anchor and warp. 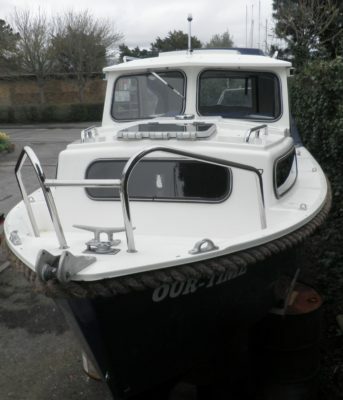 Only used for short trips in the solent. 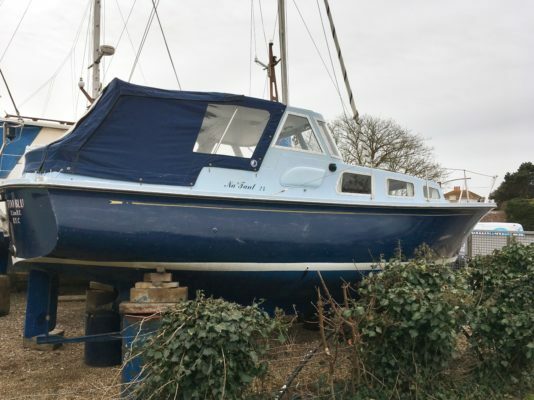 Winters ashore, and serviced at West Solent Boat Builders. 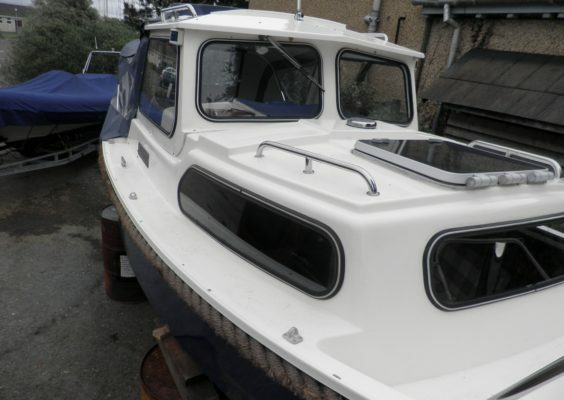 New cutlass bearing and fuel tanks in 2011. 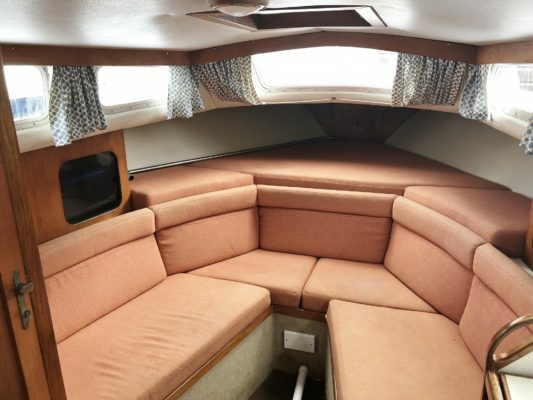 Drumble is a substantial displacement, rear cockpit, motor cruiser. 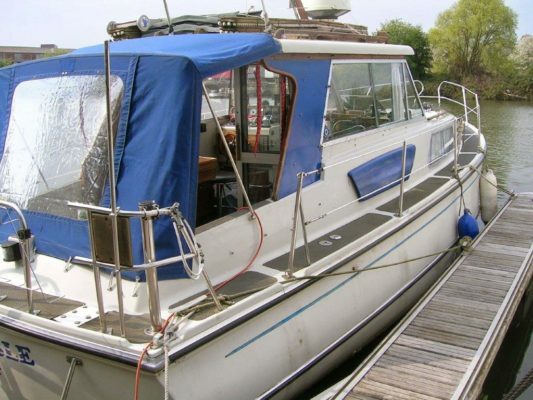 She is constructed for safe and immediate offshore cruising, and is also ideal for cruising canals and rivers. 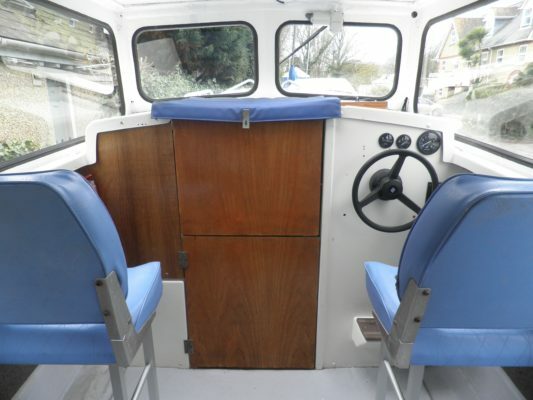 The interior has teak trim throughout plus easy to clean laminated surfaced, full stowage under all berths. 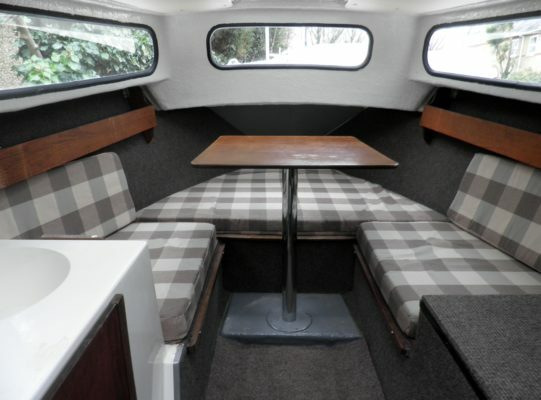 New mattresses and cover in 2011, she is carpeted throughout. 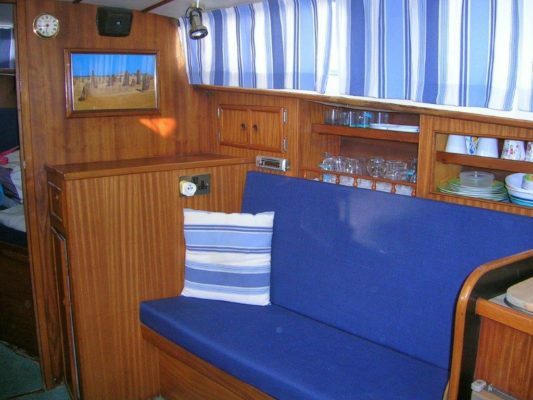 The forecabin has two full length berths with deep stowage underneath. A V insert converts into a double. 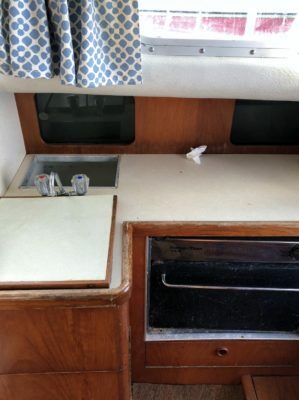 There is a wrap around shelf and a deck hatch. 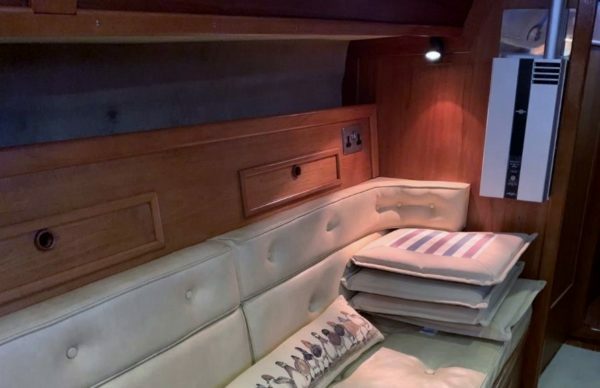 The saloon has a dinette arrangement to port which converts to a large double berth, which has full length curtains for privacy, to starboard is a settee. 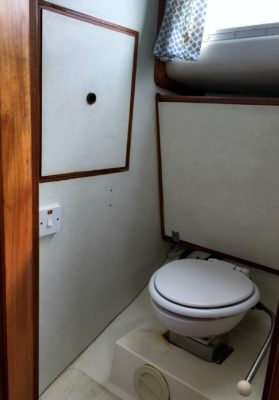 Aft of these to port is the heads with a marine toilet, with a new washbasin with hot and cold mixer tap and shower which is easy to operate and works well. 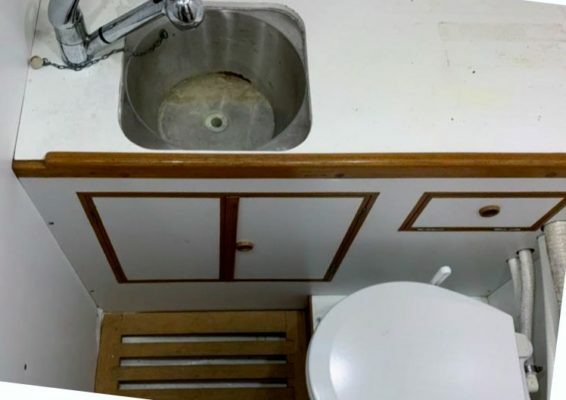 To starboard is the galley, with a refrigerator, alcohol spirit hob, enamel sink and plenty of cupboards. 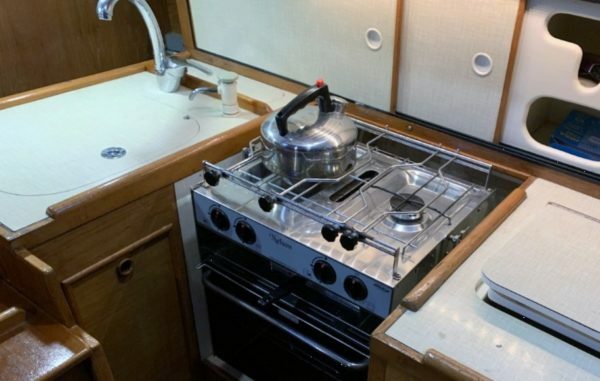 A 220/240 socket is fitted which can be used for the electric kettle, electric hob and griddle. There is no gas on board. 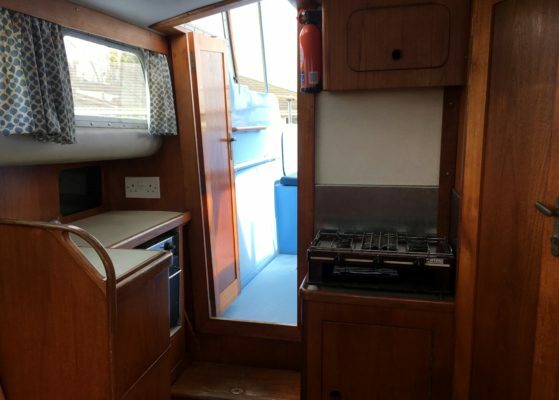 Two steps up from the galley is the wheelhouse. 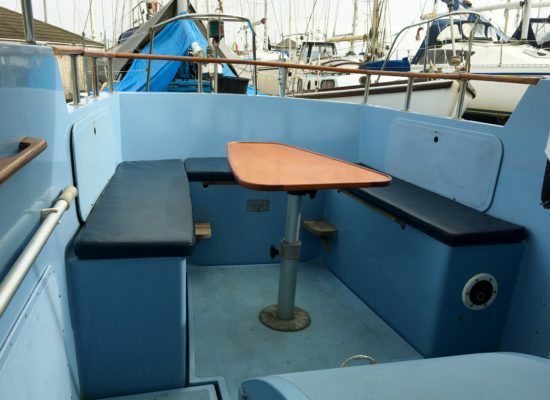 To starboard is a full length single berth/ settee, and to port the steering position with the helmsmans seat and chart table. Under the deck in the wheelhouse are the engines. 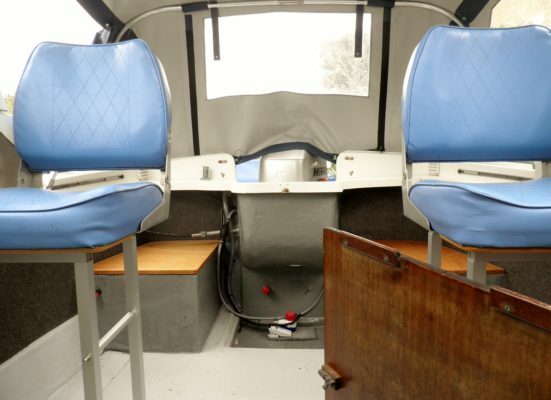 Four separate hatches can be lifted for easy access. 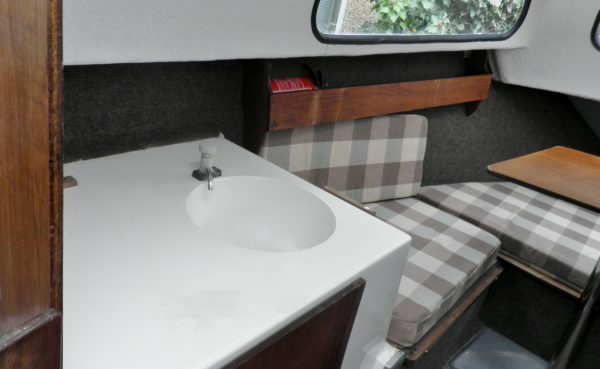 There is a holding tank aft and the Eberspacher heating system. 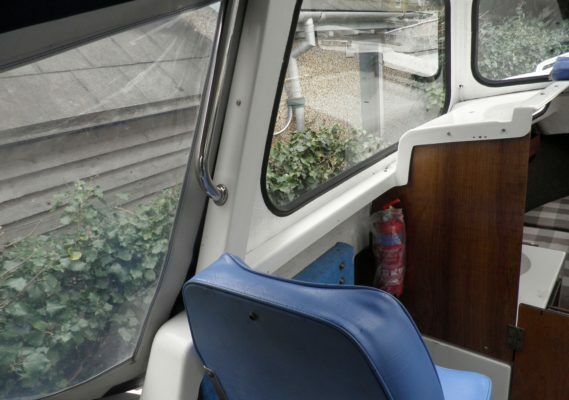 Aft of the wheelhouse behind two sliding glass doors is the cockpit. 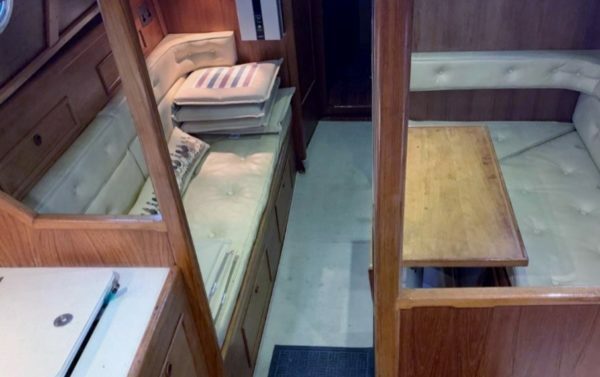 There are a number of lockers around the cockpit and underneath is a sizable lazarette. On deck at the bow is an anchor and winch. 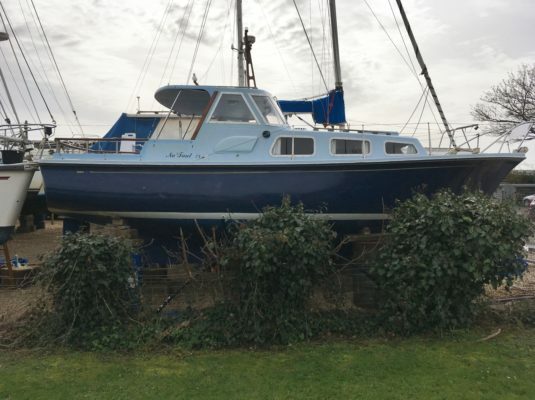 The stern has a bathing platform and ladder. 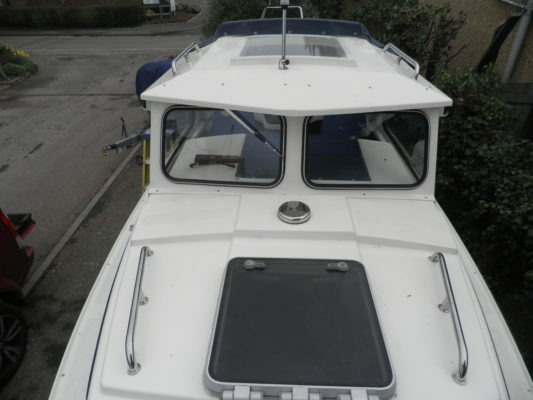 There are also davits to carry a Rgid dinghy if required. 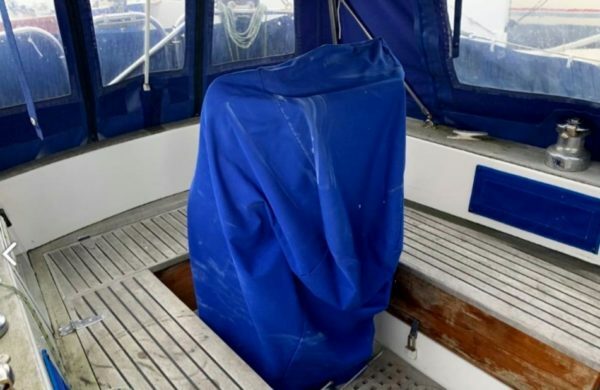 There are three different covers, a heavy duty winter cover, a cruising cover and a bimini style summer cover. 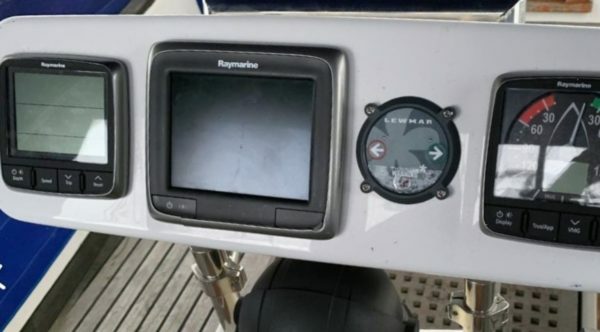 Shore power can be connected which links to a number of 220/240 volt sockets throughout the boat. Hot water is supplied from the enginges or from an immersion heater when connected on the shore power. Batteries are cherged either from an engine alternator or the 240 volt battery charger. Two start batteries and two domestic. 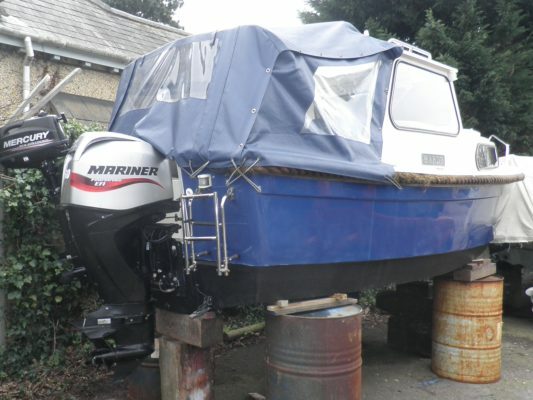 The two 42hp Mercedes engines have worked without a hitch. 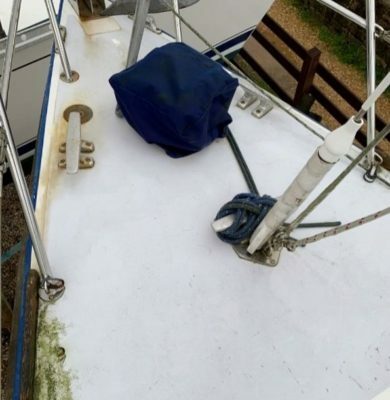 They were serviced in August 2016 and have done 25 hours since then. 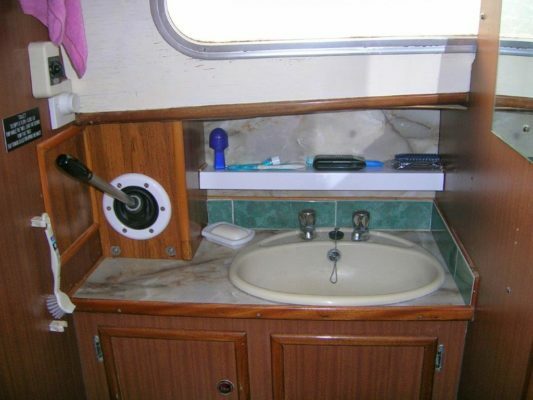 There is an automatic bilge pump between the engines. 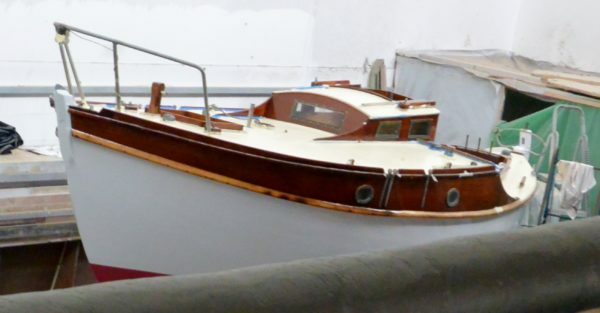 She has two bilge keels which are the same depth as the main keel so she will sit on flat ground. 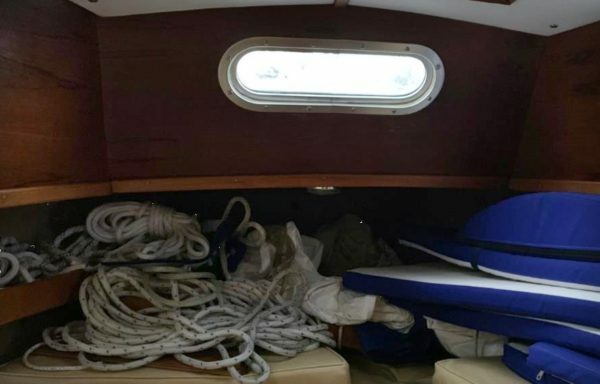 The props and rudders are above this level so they stay protected. 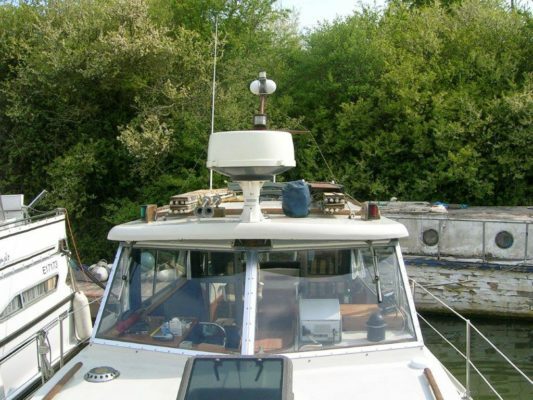 There are numerous fenders, boat hooks, mooring stakes, lines and a passarelle, as well as a hose, electricity cables and lifejackets. 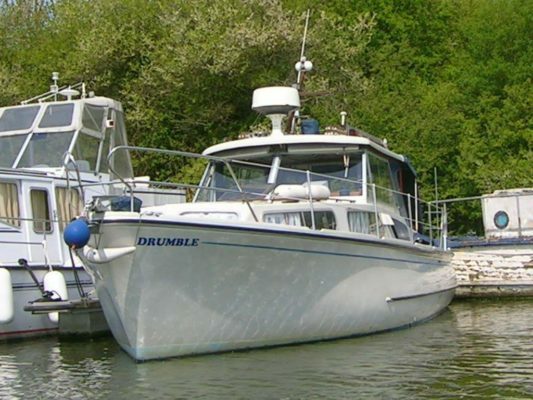 Drumble is registered in Jersey, but was in France on the date of the 31st December 1992, so is considered VAT paid. Certified documents to support this are with the ships papers. 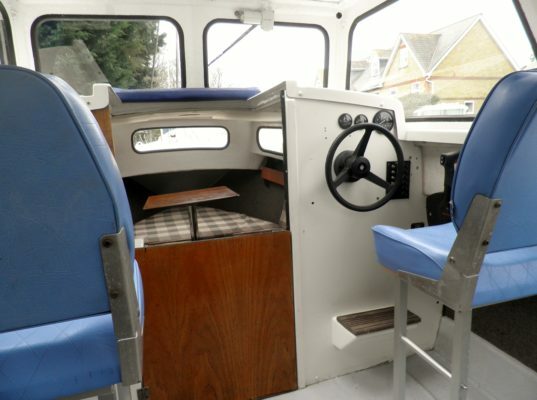 All original drawings, instructions and diagrams are also on board.